The import of your existing data from version 3.0 is easy. After installing CarOrganizer 4.0 go to the menu "Home" and click the "Import" button. 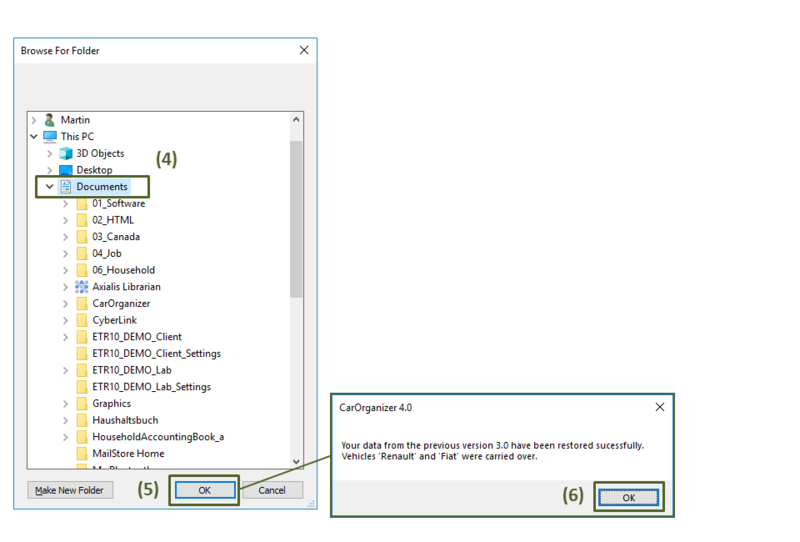 Select "Carry over data from previous version 3.0..." in the dialog box and click "Import". ...a dialog box will open prompting you to select the folder in which the data is stored. In case of a standard installation the data is stored in the sub-folder "CarOrganizer/Costs" in your personal "Documents". It is sufficient to select the folder "Documents" as the software will search for the data itself. Select the folder and confirm with "OK". A message will be displayed informing you that the vehicles have been found and that they will be imported. 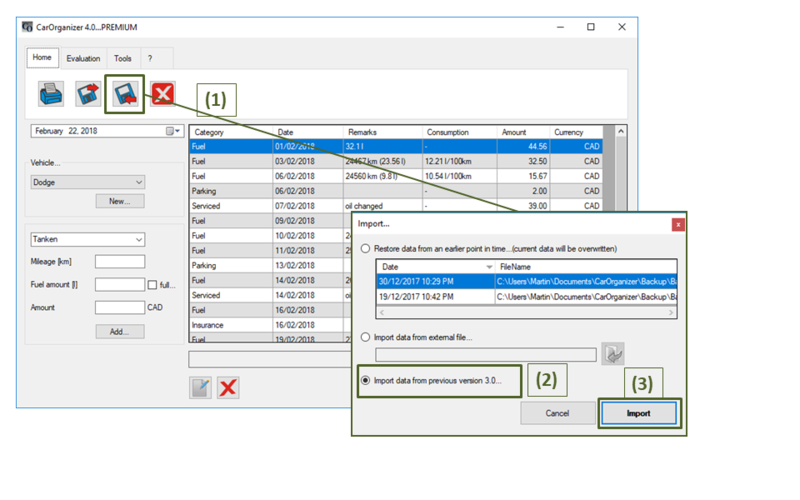 After confirming this message with "OK", your data should be available in the main window...if not (or if you have any other questions), please contact us directly at www.euchler-software.com/contact.